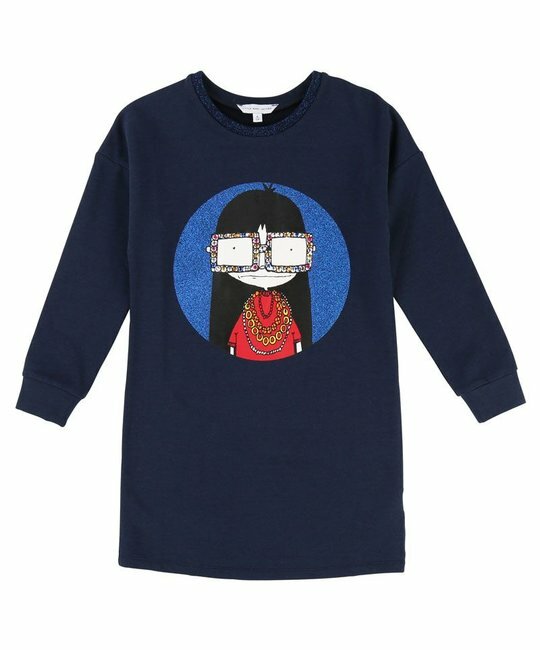 Little Marc Jacobs soft cotton navy jersey dress with fancy lurex rib and "Miss Marc" illustration with rhinestones. 63% Cotton, 34% Viscose, 3% Elastan. Imported.